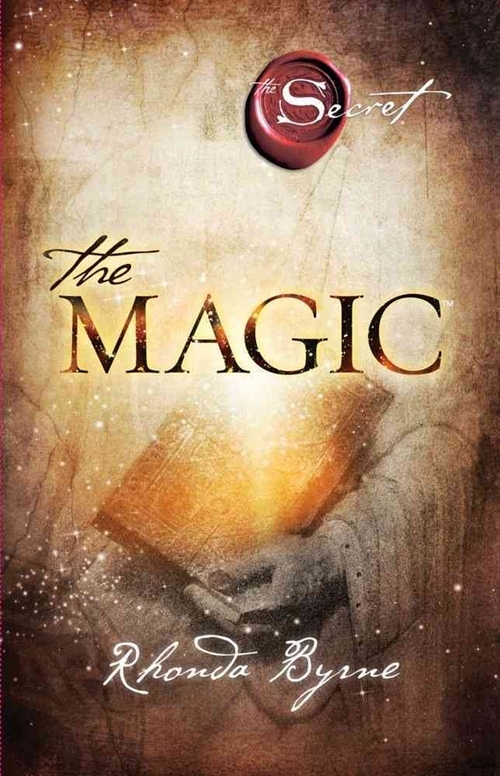 The Magic, first chapter of new book by Rhonda Byrne | Law of Attraction Plus: The Secret revealed! Remember when you were a child and you looked at life in total wonder and awe? Life was magical and exciting, and the smallest things were utterly thrilling to you. You were fascinated by the frost on the grass, a butterfly flittering through the air, or any strange leaf or rock on the ground. You were full of excitement when you lost a tooth, because it meant the Tooth Fairy would be coming that night, and you would count down the days to that magical night of Christmas! Even though you had no idea how Santa Claus could get to every child in the world in one night, somehow he did it, and he never let you down. Reindeer could fly, there were fairies in the garden, pets were like people, toys had personalities, dreams came true, and you could touch the stars. Your heart was full of joy, your imagination knew no limits, and you believed that life was magical! There is an exquisite feeling many of us had as children, that everything is good, that every day promises more excitement and adventure, and that nothing could ever thwart our joy for the magic of it all. But somehow as we grew into adults, responsibilities, problems, and difficulties took their toll on us, we became disillusioned, and the magic we once believed in as children faded and disappeared. It's one of the reasons why as adults we love to be around children, so that we can experience that feeling we once had, even if it's just for a moment. I am here to tell you that the magic you once believed in is true, and it's the disillusioned adult perspective of life that is false. The magic of life is real - and it's as real as you are. In fact, life can be far more wondrous than you ever thought it was as a child, and more breathtaking, awe-inspiring, and exciting than anything you've seen before. When you know what to do to bring forth the magic, you will live the life of your dreams. Then, you will wonder how you ever could have given up in believing in the magic of life! You may not see reindeer fly, but you will se the things you've always wanted appearing before your eyes, and you will see the things you've dreamed of for so long suddenly happening. You will never know exactly how everything weaved together for your dreams to come true, because magic works in the invisible realm - and that's the most thrilling part! Are you ready to experience the magic again? Are you ready to be filled with awe and wonder every day like when you were a child? Get ready for the magic!